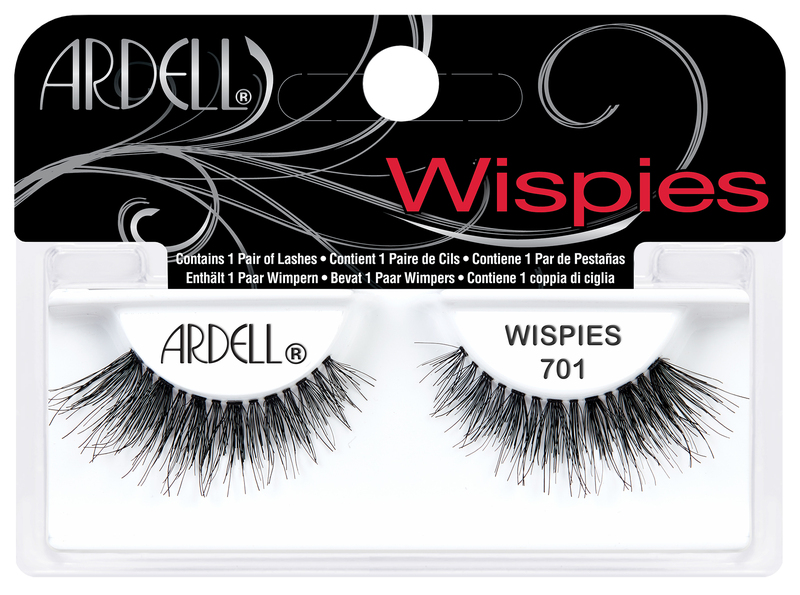 Ardell Natural Eyelashes Wispies 700 (65699) are fluffy wispy style lashes with moderately dense volume and oh-so wispy look for extra attention and style. These lashes help channel your inner goddess and inspiration from within perfect for any smokey eye makeup look or night out on the town. These Lashes feature an invisible, lightweight band that connect the hair strands to form a strip that ensures secured corners. They are knotted and feather by hand for perfect uniformity, absolute comfort, and outstanding natural look. 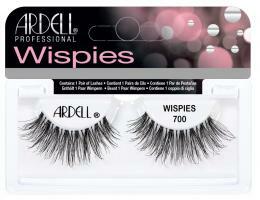 Ardell Professional Wispies #700 Natural Eyelashes are made from 100% sterilized human hair and have extreme length and volume. Style is comparable to Fashion Lashes #113 and Bullseye Hayley Lashes. Directions: Gently flex eyelash band. Align band with natural lash line to check fit. If necessary, trim the outer end with scissors. Apply a thin line of LashGrip Eyelash Adhesive along band. Wait for 30 seconds until adhesive becomes tacky. Place eyelash band against eyelid as close to lash roots as possible. Gently press corners and along the band to secure. For additional product details & how to apply information, please HERE.